It's easy to prevent cracks on your iPad Air 1 with a custom soft case! High quality, scratch resistant ink used to print your photo. Protects the back and sides of your iPad Air 1 with this case. 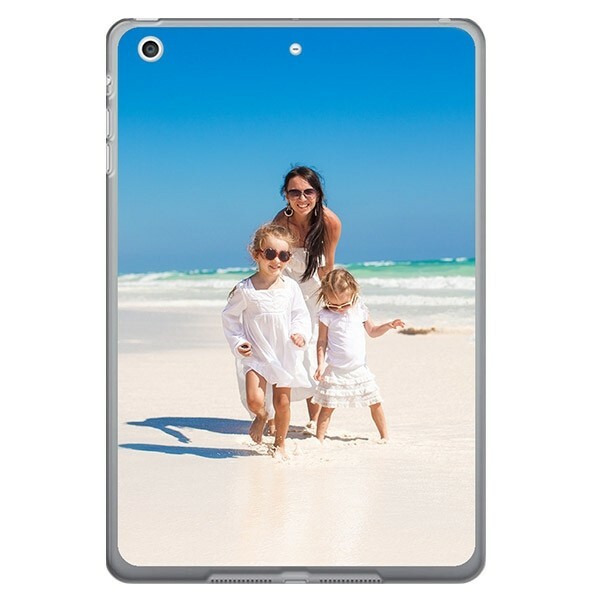 A personalised iPad Air 1 case made by you! 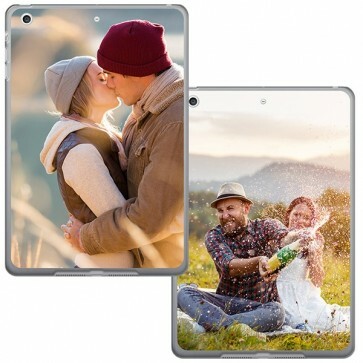 Here at GoCustomized you get the chance to make your very own iPad Air 1 soft case. This case has a soft rubber edge which feels good in your hands and ensures that your iPad is well protected from scratches and dents. Your personal design will be printed on the back of the case. Use any of your favourite images, pre-made designs or logos in your design. Your iPad will never look the same after one of these uniqe, one of a kind, self made personalised iPad Air 1 case. How do I design my own iPad Air 1 case? GoCustomized has created an easy to use design module in which you can let your creativity loose. Start by uploading your desired photo or pre-made design. Ensure that you choose an image of the highest possible quality. The better the quality of the image used, the better the end result will be. Once you have positioned your image to your liking, add a little personal text using our text module. There are plenty of fonts and colours to choose from. Adding text is not a requirement of course. Once you are done, order away so we can get started making your one of a kind case! How is my iPad Air case made? All products are made one by one at our dedicated production facility. One of our production specialists will check your design to ensure the end result will be up to standards. If he or she finds a flaw which would result in an unsatisfactory end result, we will contact you immediately with a solution. We ensure that your case will be on its way to you within 24 hours of purchase!